Every cat owner wants to be able to take their beloved cat everywhere with them. Traveling becomes even more exciting when we can bring our cats with us. 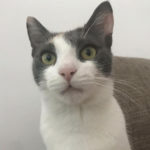 In this post, we will review best cat hammocks for travel including our top pick Hanging Cat Hammock by CUSFULL We will be sharing with you all the essential things you need to know about safe and comfortable travel with cat hammocks. Besides that, you will be able to learn how to adapt your cat to the hammocks for traveling, fast and easy. Also, we will include a list of the current best hammocks that are being sold. When we get the possibility, all we want is that our cats are as comfortable as we, humans, are. Since traveling can be a little stressful for our cats, we need to do everything that is in our possibility to diminish that feeling for them. There are many ways to do that, but one of the most comfortable and easy ones are cat hammocks adjusted for traveling. Hammocks are pieces of fabric that we attach with straps to a certain object. Same goes for travel hammocks, the only thing that differs is the object we attach them to. They are modified in a way so that we can attach them to a part of any vehicle. Basically, these hammocks are pretty similar to the ones we, humans, use. Are cat hammocks safe enough? Safety should be on the top of your priority list when you are traveling with your cat. If you don’t provide enough security to your cat than various dangerous things could happen. A cat hammock should be made of a durable fabric. Even more so when your cat is going to travel in it. Imagine all the bumps on the road. Now imagine if your cat is not in a safe enough hammock. Not a pretty scenario, right? You should also pay attention to the straps of the hammock. A hammock is attached to the vehicle by several straps. Those straps can be made of different fabrics or metals. Find out what works the best for you and your beloved cat and purchase that. Another thing you should pay attention to is your cat’s behavior in a hammock. Don’t go traveling with a hammock if it is the first time your cat is going to be in it. First, make sure your cat is familiar with it. Besides safety, comfort is also at the top of the priority list. When you make sure a hammock is safe enough, check if it is comfortable too. There are many types of beddings and paddings which are very comfortable, so try to look for those. Your cat will enjoy traveling as much as you are if she is comfortable enough. Comfort usually comes together with security. So make sure to provide your cat with both. Getting your cat used to a hammock prior to the travel is extremely important for both safety and comfort. The style of the hammock should be absolutely your choice. They come in every shape, style, and color. And you can choose between many different patterns and fabrics. You can even have a customized hammock. It really is all up to you. Now, what really matters here is the size of a hammock. You need to make sure that your cat actually fits into the hammock. If you choose too big, your cat will literally swim in it and the chances of her falling out of the hammock are too high. Also, too big isn’t comfortable. On the other side, watch out so that the hammock is not too small. You don’t want half of your cat spilling out of the hammock. There are standard sized hammocks for both adult and senior cats, in which most cats fit perfectly. However, kittens won’t fit in these. If you are purchasing a hammock for your kitten, this is something you really need to pay attention to. Like for most of the things, the easier it is for use, the better. A hammock for traveling should be something that helps you travel easier and not something that gives you headaches. It would be wonderful if you found a hammock that is easy to set and remove. Besides that, a hammock that is easy to store is huge plus really. Nobody wants extra luggage if they can avoid it. So try to look for a less bulky hammock that will be easier to store. Another thing to look for is a hammock that is easy to take care of. Search for washable hammocks so you are sure that your cat stays in a clean area all the time. We all know our beloved cats tend to pee themselves if they get abruptly scared or if you don’t provide them with a toilet break. This hammock can be used when you are traveling by plane, and you have to put your cat in a cage or a crate. For comfort purposes, you can use this hanging hammock. We guarantee your cat will be cozy enough, she won’t even care she is caged. The hanging design is done in such a way that you won’t have to worry about your cat’s safety. The metal hooks are just perfect for attaching to a crate or a cage. What is also great about this hammock is that you can use it when you arrive at your travel destination, too. This hammock can be attached to a chair too. 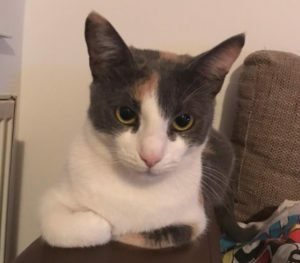 Most accommodations provide you with a simple chair somewhere in your room, so there you go, you don’t have to worry about your cat sleeping on the floor or not being cozy enough in the bed with you. With this hammock, you won’t have to bring a separate bed for your cat, she can sleep in the hammock. There are many good features about this hammock. The two fabric sides are made so that your cat is comfortable enough no matter which season you are traveling in. There is a soft side for colder weather and the waterproof one for hotter weather. This hanging hammock is so easy to clean. You can hand wash it or in a washing machine, the choice is yours. However, if you choose the washing machine, then please make sure you secure the metal hooks before washing, so you don’t damage the machine. This is a very important feature since it is easy to maintain during the vacations or other types of travel. Having this hammock with you, won’t cause you any headaches, because besides being easy to maintain, it is also easy to store away since it can be folded and put away. It really takes up small space. You can have this hanging hammock in three different shades. Choose between black, blue and pink. Another great thing about this hammock for cats is that you can buy it as a present for your fellow cat owners. They will be delighted with your choice and you won’t be spending much money on a useful gift. Overall, this hammock has it all. Besides being really affordable, it offers you a wide range of amazing features. It is travel friendly, easily maintained and you won’t need much space to store it away. Sounds really promising! This particular hammock is made of high-quality materials that are durable. The faux wool interior offers great warmth for your cat in cold days. When you turn the other side, you have waterproof artificial leather for affording cool space during hot days. Straps and hooks are neatly incorporated so they don’t break easily. Overall, this hammock offers a comfortable and safe space for your cat. This cat hammock can be used for travel purposes easily. 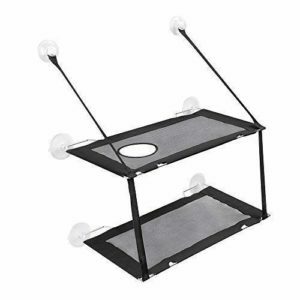 The hooks can be easily attached to a crate or a cage when needed and can also be attached to a chair if needed. This is great for transporting your beloved cat to a certain destination, but also really useful during your stay on a vacation, too, since you won’t have to bring extra bed for your furry friend. Besides being easy to store, setting up or removing this hammock won’t be a problem. Another easy thing about this hammock is maintenance. You can hand wash it or use a washing machine. Being in a clean environment helps your cat stay healthy. Size of this cat hammock is 19‘’ x 15’’ and it can hold up to 30lbs. 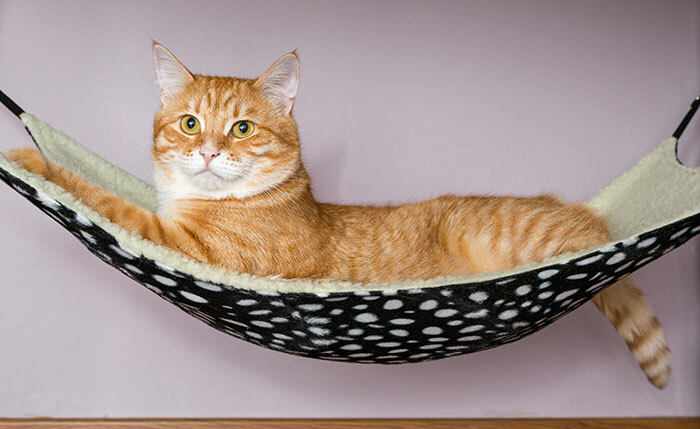 This cat hammock can be a great idea for a gift to somebody who also owns a cat. If we had to describe this cat hammock with just one word, it would definitely be EASY. Everything about this hammock is really easy. It is easy to use, store, maintain and the best part is, it is really affordable. This hammock is a dream come true. Besides being aesthetically pleasing, it is designed to serve multiple purposes. Due to a stand, this hammock is very stable. Now, when something is stable, you don’t have to worry anymore, because it automatically means it is safe too. If you ticked off safety from the priority list when searching for an ideal cat hammock, then let’s tick off coziness too. This hammock is made of soft plush, and due to that plush, your cat will have a feeling she is cuddling with a cloud. Yes, it is that soft! This hammock is travel-friendly. You won’t have to worry about bringing a huge bed for your cat so she stays cozy enough, at least not if you have this hammock. What makes this cat hammock perfect for traveling is that it is very easy to assemble. It resembles a puzzle. You can easily set it or remove it and storing it won’t give you headaches. After you assemble the wooden part, all you need to do is stretch the fabric cover over the wooden edges. This means that the fabric cover is detachable and you can easily take it off to wash it. It is machine washable. This hammock holds up to 16lbs. 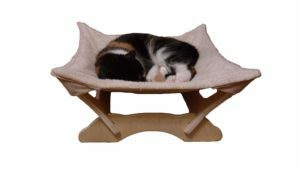 If you are planning a trip with your beloved cat, then this hammock might be the right choice for you. It is quickly assembled and easily stored away. The cloth is absolutely washable. This eco-friendly hammock is great for the cats who weight under 16lbs. If you are looking for a cat hammock that has a modern design, then look no more because we found the one for you. This hammock provides immense stability that will keep your cat safe at all times. 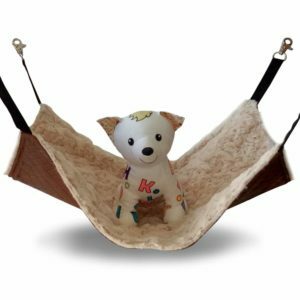 Purrfect Balance Hammock is easily assembled since all you need to do is slide the two bases together to make an X shape and after that just place the fabric over it. Since the fabric is detachable, you can easily wash it. Whether you are going to hand-wash it or use a washing machine, it is up to you. This cat hammock is awesome for traveling since it won’t take up much space when stored. Now, you can bring your cat everywhere with you and not worry will she be comfortable enough. Another great thing about this hammock is that it provides your cat with height. Cats really like being high and that is the reason they are constantly climbing everywhere. This hammock will provide your cat with a nice view. Why not treat your cat like a true king or a queen, they sure deserve it! Overall, this modern-looking cat hammock is a real catch. Your cat will feel like a royalty. Besides that, this hammock has all you need. It is machine washable and travel-friendly. Here we have a window hammock. This hammock is great if you are traveling by train, for example. Needless to say, it is travel-friendly. We all know our cats love to climb to reach a higher position and be in charge of everything that is happening around. Well, this hammock provides them with not only that but much more. Besides being in a high position, your cat will be able to look through the window and enjoy the sunshine. Even when you reach your travel destination, you can use this window hammock and place it on any window in the room, so your cat has a bed. This way, you won’t need to bring extra beds. This hammock is attached to the window with movable suction cups. If you are concerned about suction cups falling due to unwell attachment, don’t. To avoid falling, just make sure you soak them in the hot water (about 160 ℉) for 2 minutes and dry them naturally. The window hammock has two levels so your cat can choose which level she wants to sleep in, or even two of your cats can sleep in it. It has a removable plush mattress that is easy to wash in a machine or with hands. You shouldn’t worry about storing it since it is completely foldable. It really does save place. We all know how much is this valuable when traveling. When installing this window hammock, make sure you follow the user guide, so you don’t make any mistakes. This window hammock is great if you will be traveling by train. It is completely washable and foldable. Providing your cat with a hammock that will let her be in a higher position is something your cat will really appreciate. This kitten hammock is a must have if you are traveling with a small cage. The spring clips are easily attachable and detachable to the sides of the cage. This hammock is so comfortable that your kitten won’t even notice that she is in a cage, or she simply won’t care. Warm and soft fabric will make your kitty extra cozy and she will be super relaxed. That is exactly what we want for our little kittens when we are traveling. Once you attach the clips, you won’t have to worry about stability and security. They are made of high-quality metal. This cat hammock is easy to wash. You can even wash it in a washing machine. 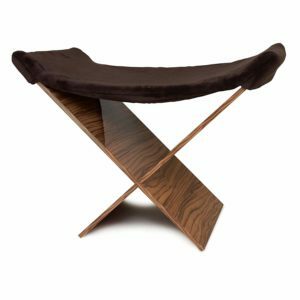 Also, this hammock can easily be folded and it won’t cause you any problem with storage. This hammock is perfect if you are traveling and you need to put your beloved kitten in a cage. Besides being completely washable, this hammock is super easy to put and remove from the cage. You won’t have any problems storing this cozy hammock away. This one is too practical! This is a small guide for the owners whose cats dislike or are afraid of cat hammocks. It is really important to find the fitting hammock for your beloved cat. Not only does size matter, but also the safety, stability, even the style. The hammock should be something your cat will fall in love. Safety and coziness play the biggest roles here. The place where you put the hammock is really important. Sometimes all you need to do is change the location of the hammock and your cat will gladly use it. This can be anywhere, depending on the type of a hammock. If it is a hammock for a cage, well you don’t have much choice. In this case, you would want to try first with any other type of the hammock and later just switch to the cage hammock. There are occasions when you need to bribe your cat so she does something. Well, this is one of those occasions. If your cat refuses to enter the hammock then go and try to use the magic of a treat. You might get surprised at how quickly she forgets the fear or whatever made her dislike the hammock in the first place. Sometimes you need to repeat the cycle for a few times before it gives any positive results. Don’t be discouraged or give up if it takes some time. Every cat is different and some need more time than the others. We suggest you adapt your cat to the hammock prior to any travel you plan. It will really be much easier for you. Some cat owners are really skeptic about cat hammocks. This usually refers to the hammocks with straps and hooks and those with suction cups. It is reasonable to be afraid and to question the safety of the cat hammocks. Although, you shouldn’t question their safety because they wouldn’t even be on the market if they were not safe. But not only that, but people would leave many negative reviews about using them. And, trust us, that is not the case. Proper usage and installation of the hammock play the biggest role. That is all you need to worry about. That and the quality of the hammock you are buying. If something is extremely cheap, it often means it is not made of the best quality fabrics. Why? Well, this one is easy. Quality fabrics are usually more expensive. Then how does it pay off to the manufacturers to produce something made of expensive materials and sell it for a cheap price? On the other hand, expensive doesn’t necessarily mean high-quality. What we are saying is that overall, yes the cat hammocks are safe enough, you just need to pay attention to what you are buying and to check from time to time if your hammock has any damage. A cat hammock is a thoughtful gift. Whether you are looking for a present for a fellow cat owner or you just want to surprise your own cat, this is a great choice. Not only that you won’t need to spend a fortune on a quality gift, but giving somebody a hammock for their cat is really useful. We promise they will be more than thrilled about this gift! You can always customize a hammock in a certain way so that the person you are giving it to always knows who they got it from. These two have something in common. Both hammocks and carriers are used when traveling with cats. Let’s see where do they differ from each other and why. Even though these two are used for the same purposes, they are very different. Carriers have only one purpose and that is carrying your beloved cat. Thus the name. While, on the other hand, cat hammocks can be used for transport purposes, but also as a bed for your cat. That is the main difference between these two. Your cat won’t be as comfortable in a carrier as she will be in a hammock. Of course, there are certain situations and trips which demand the use of a cat carrier only. In this case, you really don’t have much choice. For example, you can find yourself in such a situation if your cat is anxious and scared when traveling. A carrier will offer her a closed-off space where she can rest and not be bothered. On the other side, we have cats who get bored or anxious if being closed-off. For these types of cats travel hammocks are great. Also, hammocks provide constant awareness and sight of everything. Some cats really need this. Carriers are bulkier than the hammocks and usually not as easily stored away as hammocks. So in this argument, hammocks mostly win. Another thing about hammocks is that besides them being a possible way to transport your cat to a certain destination, you can also use them at the location as a bed for your cat. How great is this! You will save yourself some space and nerves. Overall, both hammocks and carriers are awesome and they perfectly serve their purpose. In the end, it all depends on how are you traveling (which mean of transportation will you be using), for how long, your cat’s character and general behavior, how your cat behaves when traveling, etc. When answering all these questions, you will know what is going to be the best choice for your trip. We gathered information through a research and by reading comments and reviews of cat owners. Our list contains 6 best cat travel hammocks which are 100% safe. Also when comprising this list, we took into account, reviews of people whose cats tried these products. Do you own a cat hammock? Have you ever used a hammock for traveling purposes? What is your general opinion about cat hammocks for traveling?Don’t be shy and leave us a comment! We would love to hear from you!